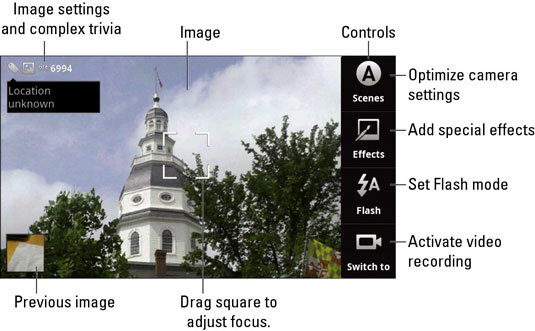 You can use your Droid X to record video. You can record about ten minutes of video on your Droid, though that length can be limited by how much storage space is available on the MicroSD card. 1Touch the Launcher button on the Home screen. The main Camera screen appears. 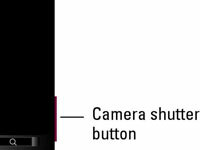 3Touch the Switch To button in the Droid's Camera app to start the Droid's Camcorder app. Alternatively, you can find the Camcorder app on the Applications Tray. The Camcorder app looks amazingly similar to the Camera app, with the addition of a time indicator. 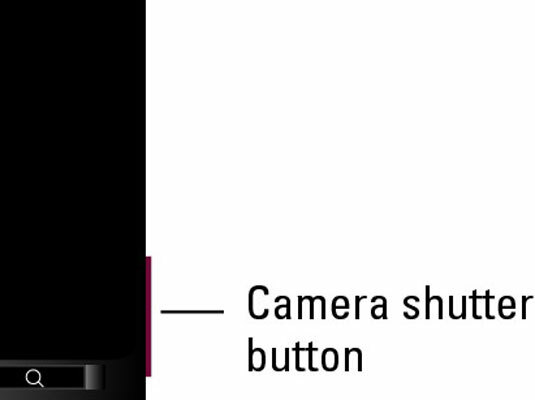 4Press the phone's Shutter button — the same button used to take a picture. 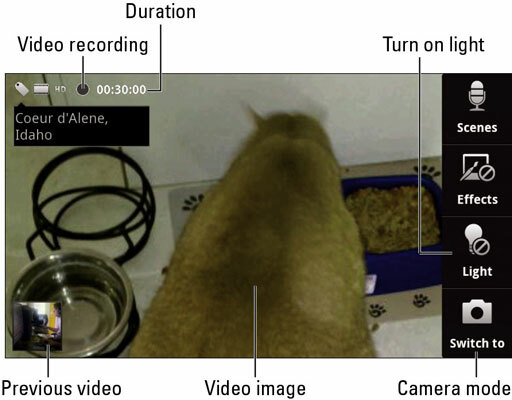 When recording, a red dot in the upper-left corner of the screen lights up, and the recording time is noted. 5(Optional) Touch the Mute button that appears on the touchscreen. 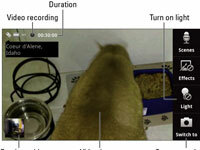 Your Droid mutes the sound while it records. 6To stop recording, press the Shutter button again. The video is stored on the phone’s MicroSD card. 7Watch the video immediately by touching the Previous Video button. Otherwise, the phone is ready to shoot another video. 8Choose your video from the list (it's the first one shown), and then touch the Play button to review the video. 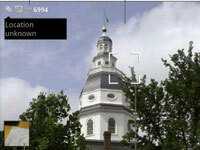 You can use onscreen controls to pause or play the video, as well as reverse and fast-forward the scene. The controls disappear as the video plays, but you can touch the screen to bring them back. 9When your video is done playing, press the Back soft button. You return to the Camcorder app, which you can use to film another masterpiece.